Trauma to children’s teeth can be quite stressful for child and parent alike. The trick is to stay calm and act fast. If a child has had a knock to their mouth a cold compress will greatly help with swelling and discomfort. Often the teeth can appear chipped or even slightly pushed up into the gums it is best to leave things as they are and go to your nearest available dentist. 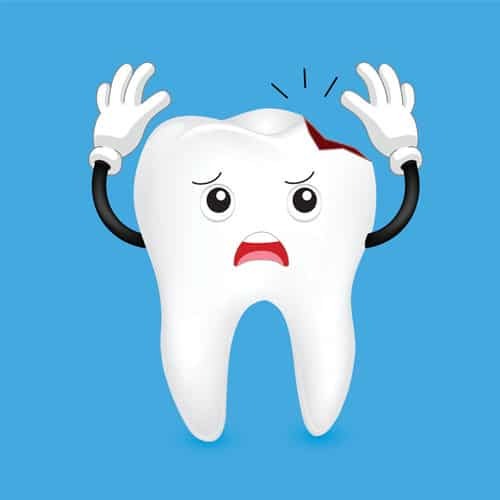 If a tooth has completely come out of the gum it is best to place this tooth immediately in milk or water and go straight to the nearest available dentist and often this tooth can be reimplanted. Sometimes there is no obvious damage to the teeth at the time of the accident, however some teeth may start to appear grey in colour over the next few weeks. This is an indication that there is some internal bleeding inside the tooth and the nerve of the tooth may be compromised. It is always a good idea for this tooth to be checked via x-ray with your dentist. At friendly smiles dental children are always welcomed. Our team will go to great lengths to make your child’s dental experience as comfortable and as much fun as possible.